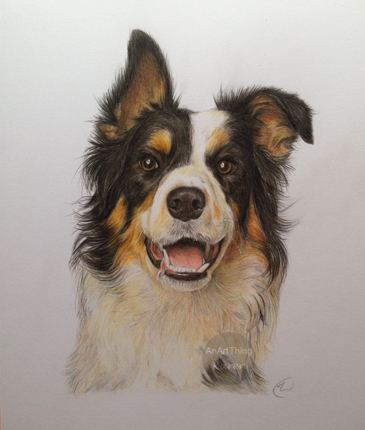 Here’s Daisy all finished, a gorgeous border collie that was a delight to draw. In total she took about 12 hours to complete. Thank you to K Olding for the use of the original photograph.